Lilium Lancifolium or also known as Lilium Tigrinum a member of Liliaceae family of plants grows up to 79″ tall. 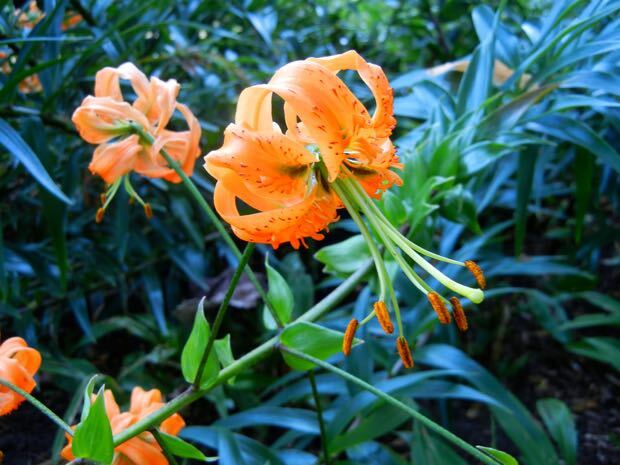 It blooms in summer and fall with bright orange flowers that are spotted on errect and tall stems that might need some kind of support do to its height and weight. It is a bulbous perennial. 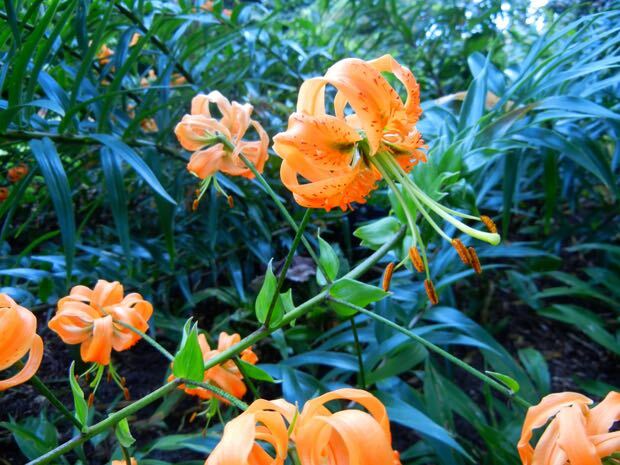 It produces bulblets which is also called bulbils along the stem and is used to propagate this Lily. Flowers wither but are replaced by new ones. Lilium Lancifolium is good for borders and containers. The pollen is said to be poisonous, however the root and the flower seem to be edible. This Lily is native to Asia.